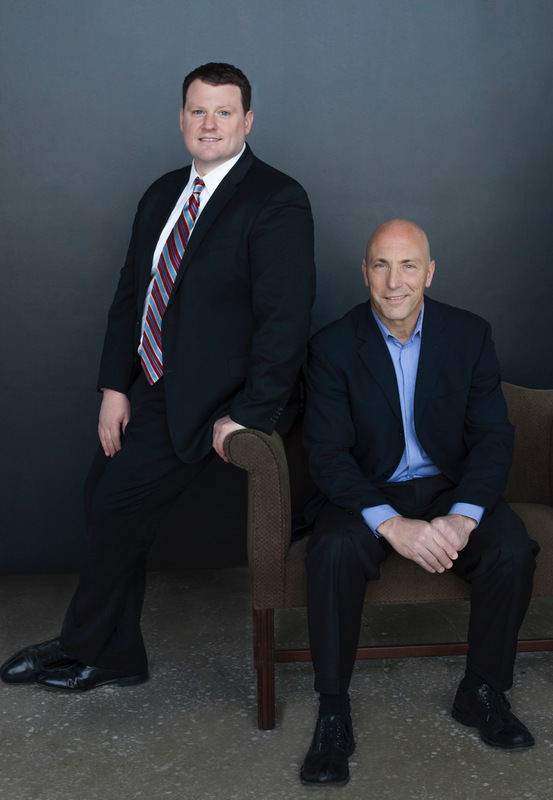 Dr Conte and Dr Mayfield combine for more than 20 years of experience treating hernias in central Iowa. They specialize in treating inguinal and umbilical hernias, utilizing both laparoscopic and open surgical techniques. During consultation with Dr Conte or Dr Mayfield, we discuss your concerns and your goals. We tailor the surgical approach to meet your needs. We are committed to partnering with you to alleviate pain and restore function, to get you back to your life’s passions. A hernia is a defect or hole in the wall of the abdominal muscles that allows the fat lining of the abdomen or intestines to protrude through the defect. Although some can be asymptomatic, most cause pain or are unsightly. Rarely they can cause intestinal obstruction, and this is a medical emergency. Hernias are primarily located in three areas: inguinal (groin), umbilical (belly button), and midline abdomen (ventral). These are naturally weak points of the abdomen muscle, but the muscle can be further weakened by chronic use, weight gain, or previous surgical incisions. Hernias can affect men and women. Some people don’t remember the onset of a hernia and just notice a bulge in their groin or abdominal area. Others notice a sudden onset of severe pain with an activity, then notice a lump in their groin or abdomen, from the sudden disruption of the abdominal muscles. Many ventral hernias arise at the site of a previous surgery and appear as a lump near the scar. Ventral hernias can be small or quite large. Their onset can be gradual or sudden as well. Many people put off hernia surgery for a variety of reasons, whether it’s a fear of surgery or concern about down time. We have seen many patients slowly concede control of their lives to their hernia: they pass up opportunities for walks with their loved ones, they say “next time” when friends are biking the High Trestle Trail, they stay on the sidelines during pick-up basketball games with their kids. The Hernia Center at Iowa Specialty Surgeons. Hernias are primarily treated surgically. Trusses, binders, and abdominal supports have been used to treat, or minimize symptoms of hernias, but are generally not a long term solution. Except in cases of extreme age or prohibitively high surgical risk, trusses are not recommended for long term treatment of a hernia. Supportive garments are often used to minimize preoperative and postoperative pain and are used to good effect, and we utilize them in our practice. Complications of mesh have also been documented and several recalls of surgical mesh have occurred in the past 10 years. Our approach to the use of mesh is selective based on each patients’ history and body. We avoid the use of mesh unless there is clear benefit and low risk. We have never used any of the meshes that have been recalled, and use only the best national brand mesh, not a discount lower tier product. When we founded The Hernia Center, our focus was on providing the safest, kindest, and most efficient outpatient surgical practice in the Midwest. We have enough combined experience to know how to do it, and avoid many of the pitfalls that patients experience in the average medical office. From our staff to the surgical centers where we work, all of these relationships are long standing and cultured to provide the kind of experience that makes surgery enjoyable and doesn’t exist in many places. Ask around and check our references and ratings, the merits add up. A: Most of our surgeries are done under light general anesthesia, but can be done under “twilight” sedation or even local anesthesia only. We find light general anesthesia to work best and have minimal grogginess or other side effects and makes surgery go quickly. We also inject a long lasting local “numbing” anesthesia that lasts several days. Many patients take no pain pills after surgery. A: Most of our incisions are about 1 ½ inches. If done laparoscopically, the incisions are smaller, but add up the same. Q: Do I need to have my stitches removed? A: No. The stitches are beneath the skin and they dissolve. None of the mesh we have implanted has ever needed to be removed. Q: I’ve heard that some hernia mesh has been recalled. Should I be concerned with having a hernia surgery done with mesh? A: The Kugel hernia mesh was recalled in 2005. We have never used this type of mesh in any of our hernia operations. Q: Is it safe to travel a distance to have hernia surgery? A: It is absolutely safe, many patients travel the same day. Q: When can I go home? A: For locals, or patients within a 6 hour drive, they can go home right after surgery if they have someone with them. A: Its best to have someone with you, or at least pick you up. Q: I have hernias in both groins. Can they be fixed with the same hernia surgery? A: Yes, they can be easily fixed in the same hernia operation. Q: I’ve been thinking about getting a vasectomy. Can this be done at the same time as my hernia surgery? A: Combining vasectomy with hernia surgery can be done while you are in the operating room. Q: What are the advantages of using mesh during a hernia surgery? A: There are two major advantages to using mesh for a hernia surgery. First, studies have shown that hernias repaired using mesh have a low recurrence rate. Before the use of mesh, recurrence rates were reported to be as high as 10 percent. With our mesh technique, the recurrence rate of an inguinal hernia is 1 percent. The other major advantage of mesh is that patients whose hernias are repaired using mesh have a lower degree of postoperative pain. All patients have some degree of pain after surgery; most studies show it is slightly less with mesh. Q: When can I go back to work after hernia surgery? A: Most patients miss 5-7 days of work. If a patient’s occupation is less strenuous, some patients go back to work in a few days. More strenuous occupations require at less a week to two weeks off work. Q: My hernia occurred at work, how is this treated? A: We approach workers compensation injuries in the same surgical manner as all patients. If the injury is severe enough to need immediate surgical care, we do so. If the injury is less severe, the patient is seen in the office and evaluated. A consult note is sent to the workers compensation carrier and approval is sought. Surgery is not scheduled until approved, but this is generally a short process. Patients generally are off 1-2 weeks, then return to light duty. Light duty is then done for a period of time ranging from 1-2 weeks depending on occupation. A final follow-up is then done several months later to assess complete recovery.